«Khoomii» o canto difónico gutural. Kharkhorin. Mongolia. If you couldn’t make the flute-like sound, there are two possible causes. They are very important because they are directly connected with the way to improve your throat-singing.Firstly, your mouth chamber may not have a proper shape or volume for resonance. Change them carefully according to the instructions in STEP 5. Slow and careful changing of the chamber will help you to find the resonance. 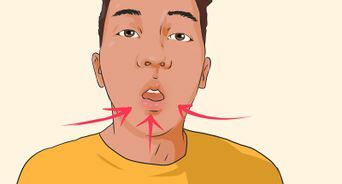 Try to change the shape of the front of your mouth too.Secondly, it’s quite possible that your vocal “oooo” doesn’t contain sufficiently strong harmonics that can resonate in your mouth. (Is your “oooo” very soft and calm?) Beginners sometimes give up before getting the hang of this. The sound wave which resonates in your mouth has quite a high frequency. 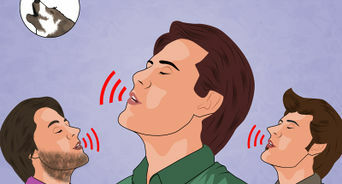 Thus all you have to do is vocalize an “oooo”-sound which contains sufficient high-frequency sound energy. I don’t mean that you vocalize “oooo” one octave higher! I mean that you should vocalize with as bright a throat-sound as possible. (If Louis Armstrong had tried throat-singing, he’d have been successful! )To get the proper “oooo” sound, imagine the following situation: when you’re practising throat-singing, some one comes up to you angrily shouting “Be quiet, man!” and strangles you. Naturally, you keep practising. This would result in a strong, bright tone from your throat. You got it! 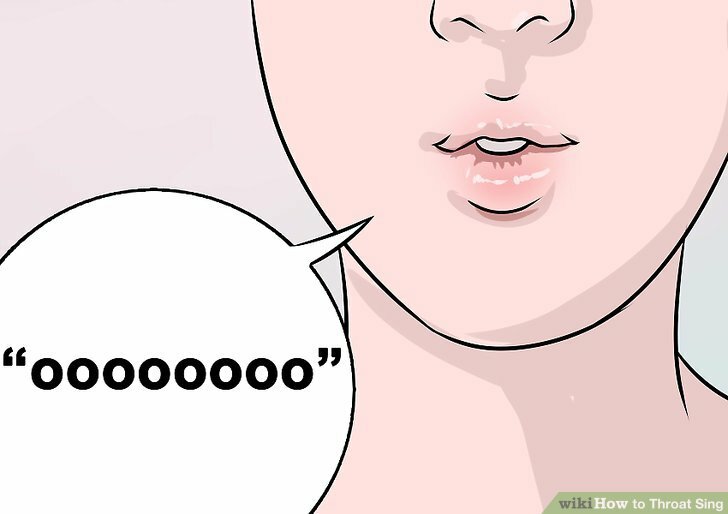 You are “oooo”-ing with an ideal voice sound.Once you’ve got this voice with rich high-frequency components, the volume of the “oooo” itself may be reduced. This helps the flute-like sound to be heard more clearly. 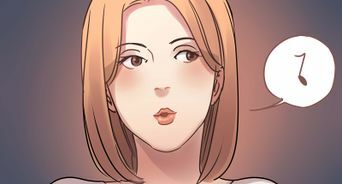 In this case, the voice which is kept while throat-singing sounds like a drawn-out “we” in English, or “oui” in French, which is written in Japanse as the letters shown in the background of our pages. Previous Step <————–> Next Step? I do hope this How-to helps you. May your throat-singing reach the Altai Mountains! 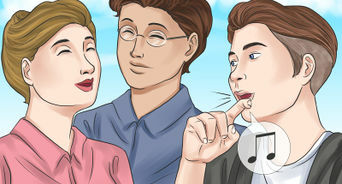 Please let us know your experience of trying to throat-sing according to these instructions. Without his native English and great work (actually, he had already mastered throat-singing by himself and introduced how to do it in the FAQ of Tuva ! ), the Throat-Singing Society could not have presented you these how-to in English. Also known as overtone singing or harmonic singing, throat singing manipulates your vocal chords to create melody. Famous in many Asiatic and some Inuit cultures, throat singing creates the illusion that you are singing more than one pitch at the same time, though you are actually singing only one frequency. 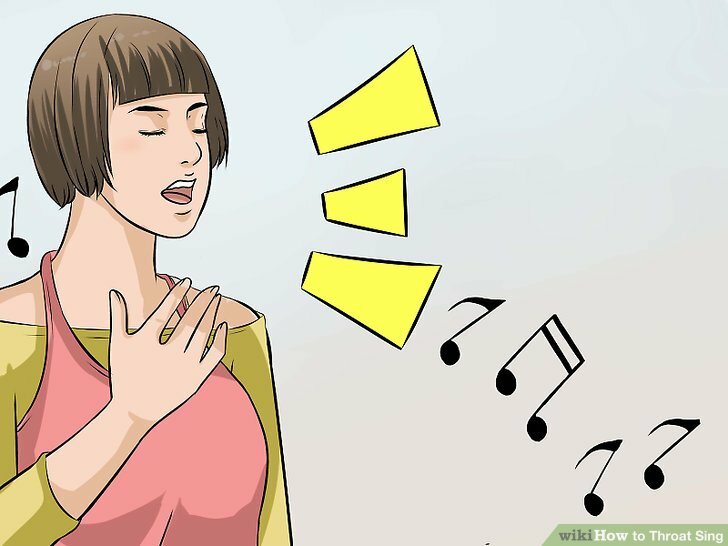 When you do it successfully you will produce a whistling sound, or overtone, on top of your singing voice. Relax your jaw and lips. Your mouth should be slightly open with roughly a centimeter between your upper and lower teeth. 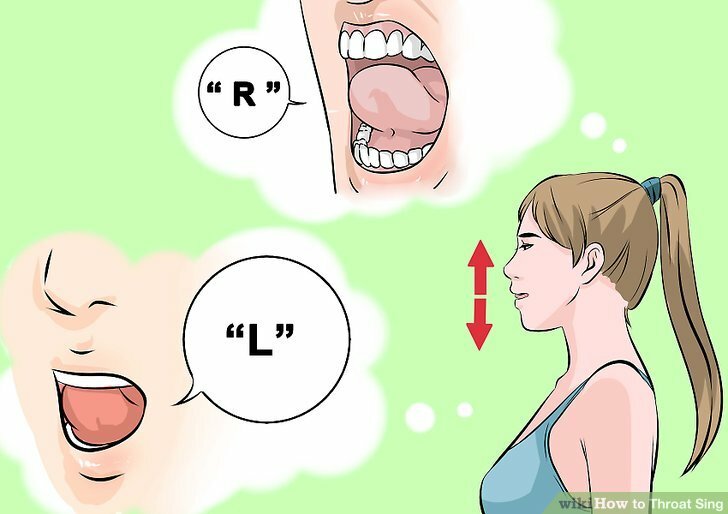 Make an “R” or “L” sound with the tip of your tongue. Your tongue should almost touch the roof of your mouth. Don’t worry if it brushes it occasionally, just get comfortable with the position. Sing a comfortably low “base” note. Sing and hold a note, just one note, with your tongue in place. You will be playing with this note to create your overtones. Sing from your chest, getting as deep as you can. Think of saying “oo,” (like the sound in the word “cool”) with the deepest voice you can. Move the body of your tongue back and forth. Keeping the tip of your tongue on the roof of your mouth. Think of it as shifting between an “R” and an “L” sound with your tongue. 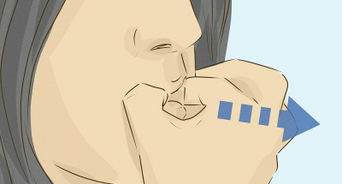 Slowly change the shape of your lips to adjust the sound. 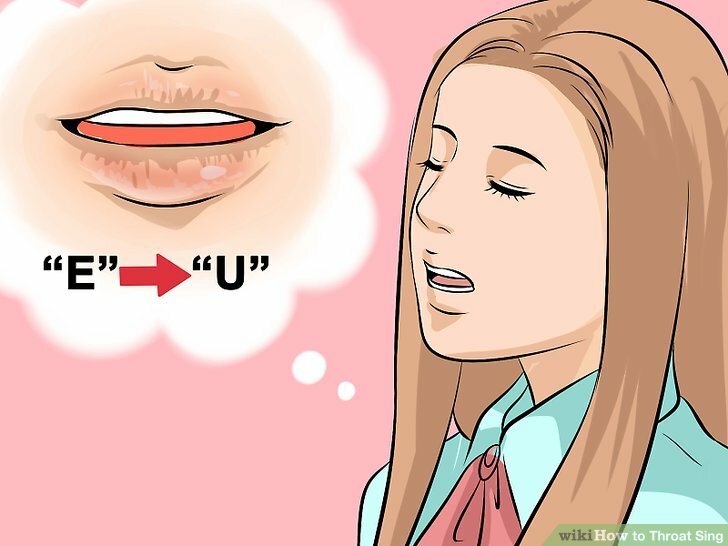 Think of moving your mouth from an “E” sound to a “U” sound (“as if saying “see you” without the “s”). 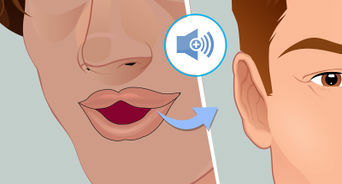 This changes the shape of your lips and the “resonance” of your mouth (how sound bounces around inside). 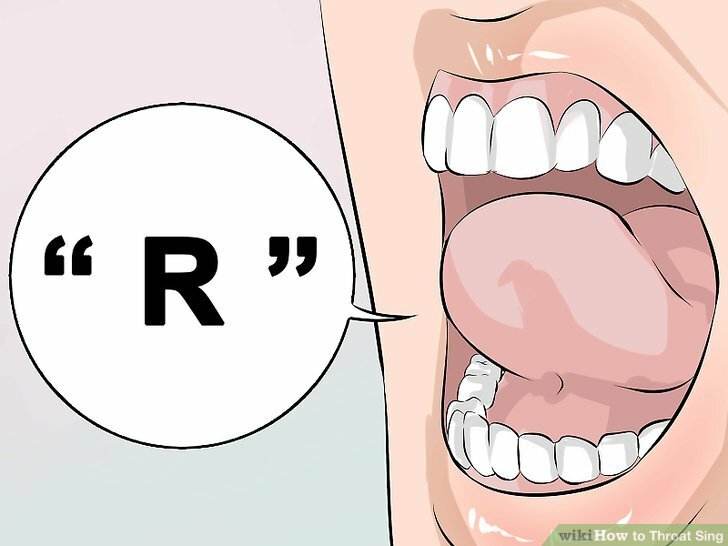 Place your tongue near the roof of your mouth in a “r” position. 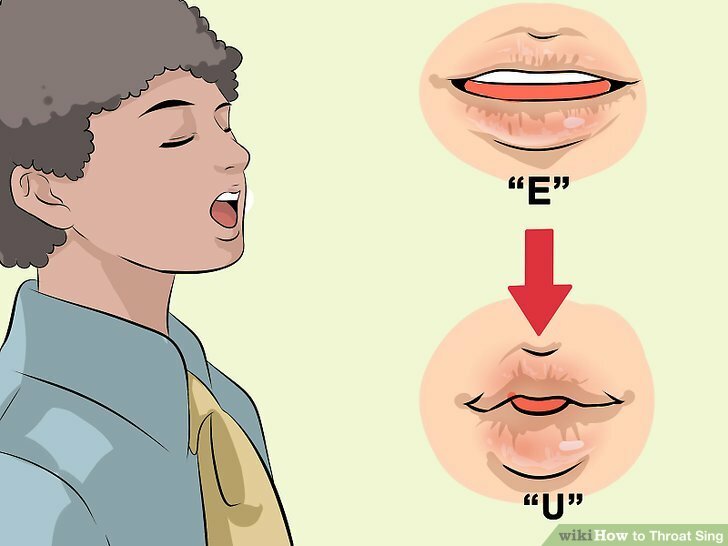 Move your lips slowly between the “E” and “U” vowel sounds. Slowly curl your tongue back and away from the your lips. When you hear your overtones, stop moving your mouth and hold the tone. Don’t worry if you cannot hear the overtones at first. It is difficult to hear yourself singing overtones when you first begin, even if you are making them properly, because of the the resonance in your head. Sing with a loud, bright voice. 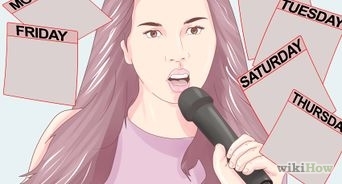 When they are first starting out, most people don’t give enough power and energy behind their voice, To get the “ooooo” sound right, imagine you are trying to sing as someone squeezes your throat. Your voice will need to loud and forceful, and this will help you create overtones. After you master throat singing technique you can lower your volume and vocal power to something more comfortable. Focus on singing from your upper chest. 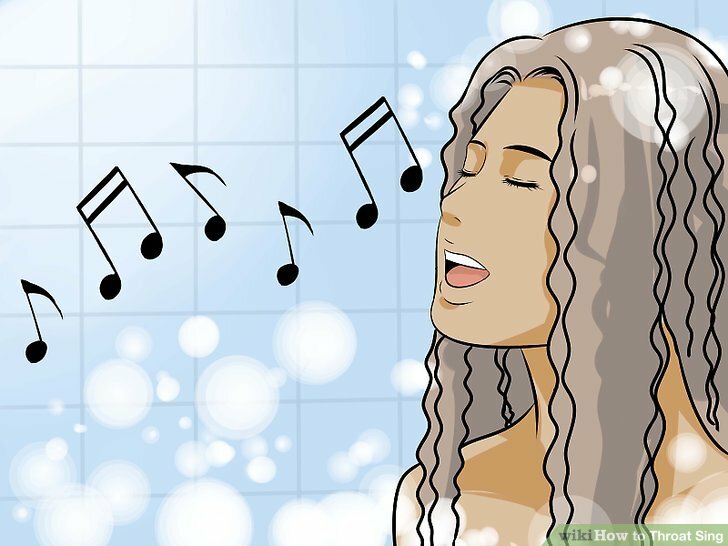 There is a difference between your “chest voice” and you “head voice.” With you head voice, you usually sing at a higher pitch, and you can feel the sound coming from your throat. A chest voice feels “resonant,” and you can feel the vibrations along your upper chest. Practice changing notes. Once you can comfortably make sing with overtones, you can learn to make melodies by moving your lips and adjusting your base note. 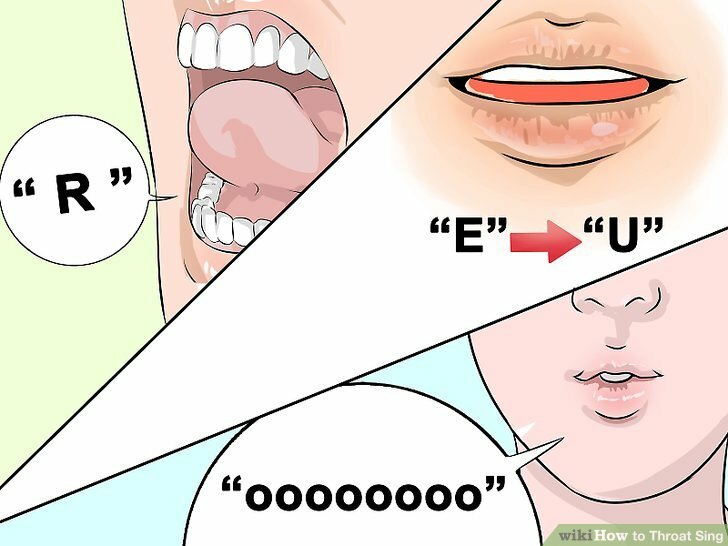 Open and close them like you were transitioning from an “E” sound to a “U” sound (“eeeeee &rarr: you). Listen to real life examples. Throat singing is found in cultures from Alaska to Mongolia and South Africa. 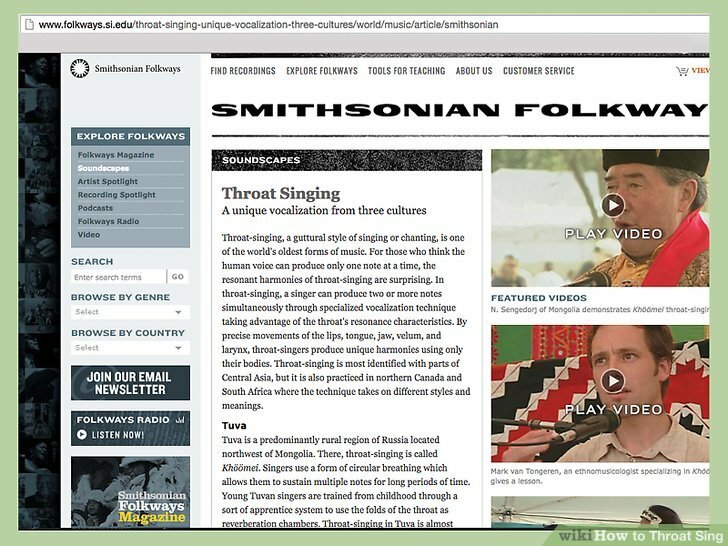 The Smithsonian museum has an incredible collection of videos from these cultures, as well as some tutorials for burgeoning throat singers. 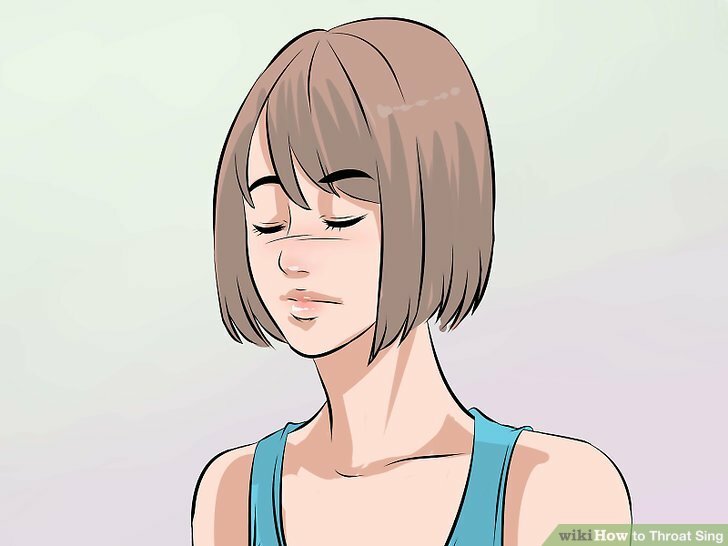 Click below to let us know you read this article, and wikiHow will donate to World Possible on your behalf. Thanks for helping us achieve our mission of helping people learn how to do anything. How bad can I injure my voice while practicing throat singing? Can I injure it permanently? 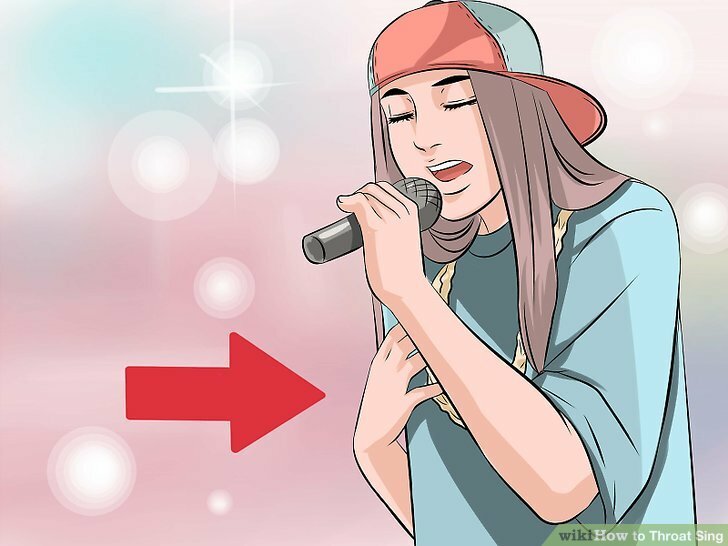 It is not possible to “permanently” damage your vocal chords by just using them. But if you’ve ever sung or talked for long periods of time, your throat will start to get a little sore. If you notice that it is starting to become uncomfortable to talk or sing, take a break and, if you so desire, have some hot tea with honey to help soothe your throat. Clear your throat by coughing of drinking a glass of water before you begin. If you’re sick and have a sore thoat/phlegm, you should probably wait to practice singing until you’re well again. Do not over-strain yourself when trying to find which muscles to use, it can hurt quite a bit! Thanks to all authors for creating a page that has been read 107,736 times.